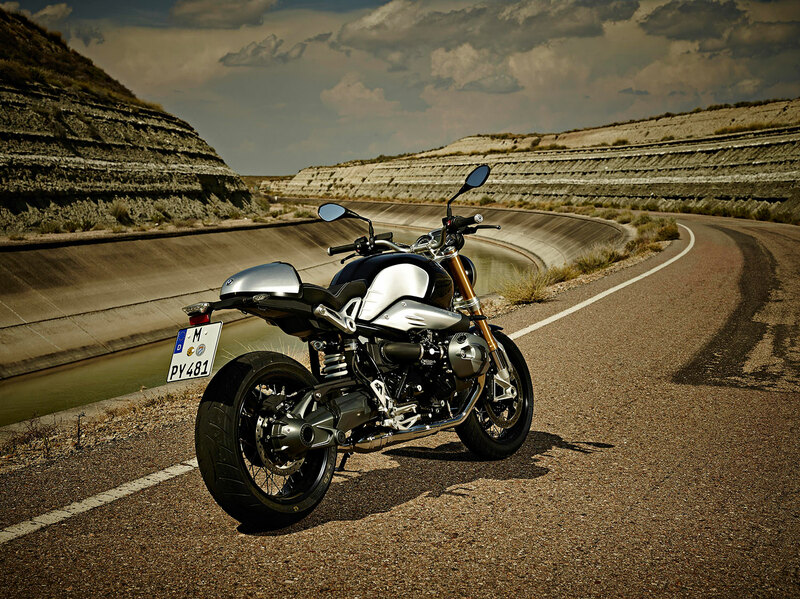 The strong step off boxer engine, which is characterized by unique design and a robust sound, served as foundation for the new BMW R nineT. This air-/oil cooled boxer with 1 170 cm³ cylinder capacity performs 81 kW (110 hp) at 7 750 min–1 and develops a maximum torque of 119 Nm at 6 000 min-1. Especially customizing fans will love this piece of design because BMW attached utmost importance to individualization. 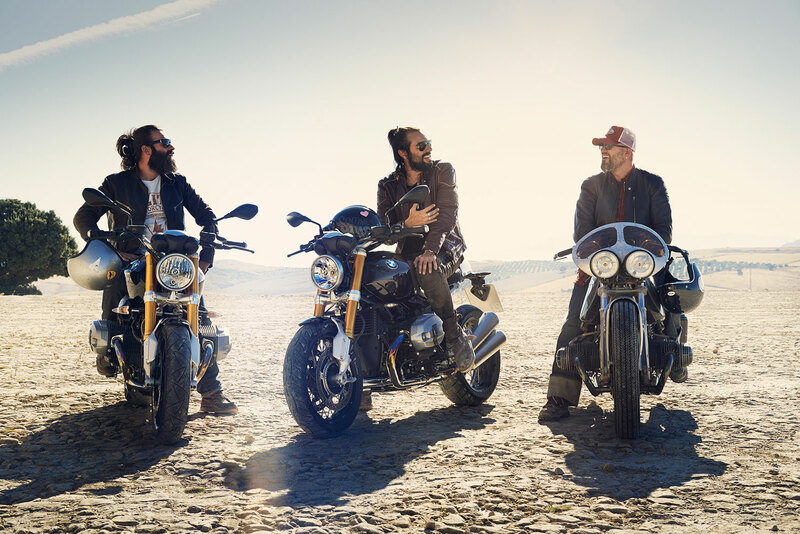 In order to design the bike this way, a mixture of original BMW motorcycle accessory, as well as specially made mounting parts or accessories of finishers were needed. The contained individuality in the BNW R nine T voices especially the extra manufactured steel tube frame, which incorporates the Boxer engine as a supporting element. 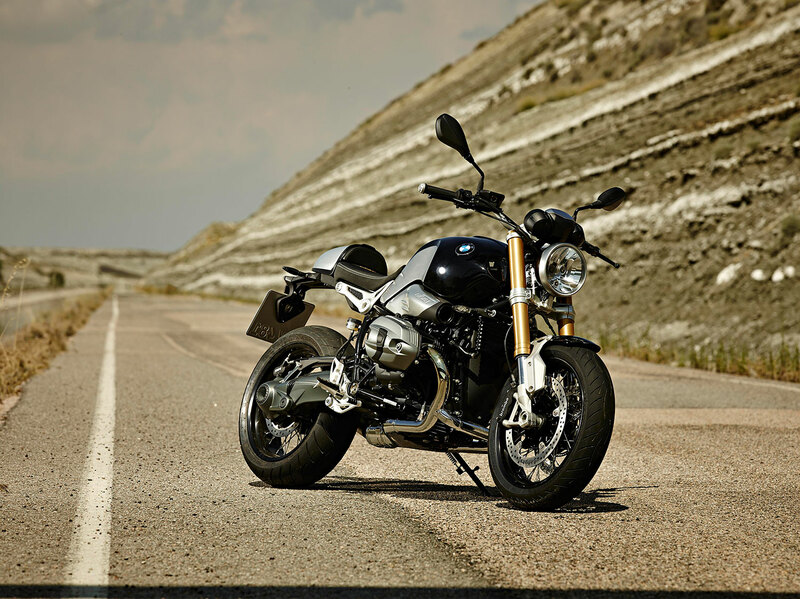 Thanks to the remote pillion frame the nineT can be used in the two person as well as in the solo mode. 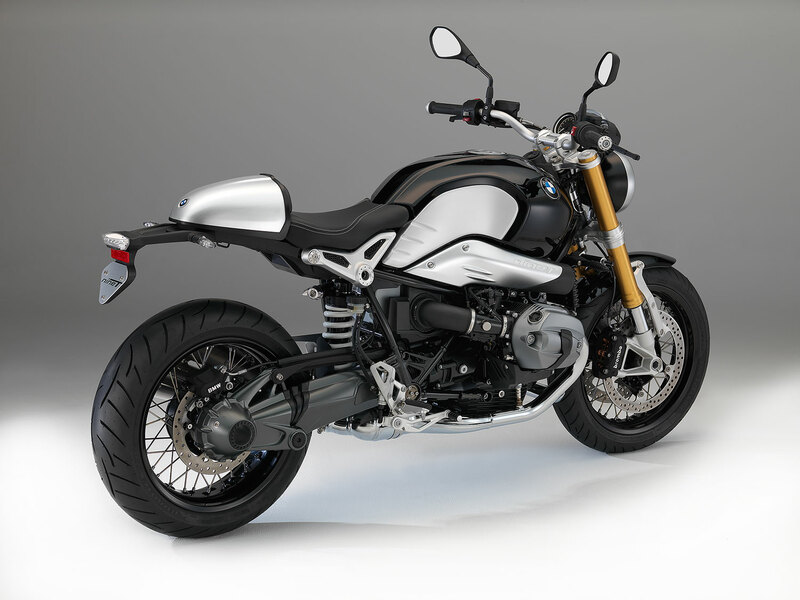 The left-side mounted exhaust system with two superposed mufflers gives a classic sporty roadster look to the new BMW R nineT. The Akrapovi? system made of titanium rounds the whole thing off. 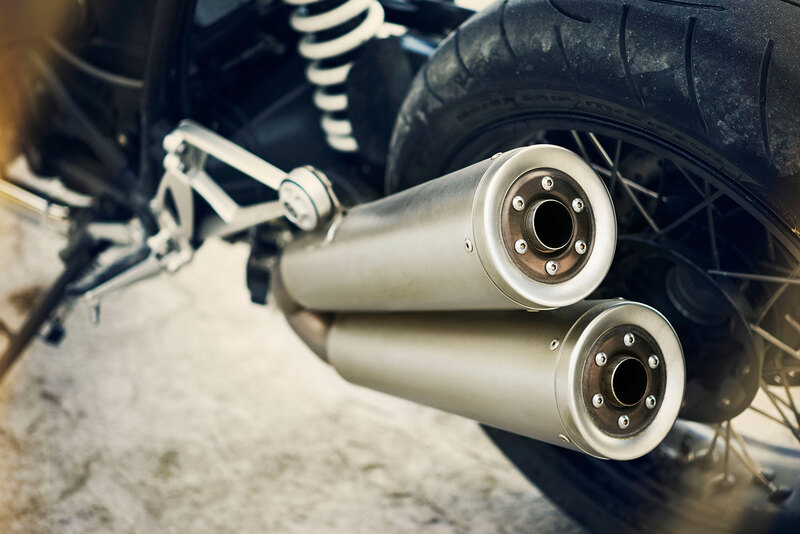 In addition and depending on your wishes the silencer can be mounted below or higher. An upside-down front fork replaces the original Telelever, which is normally used in Boxer engines. Further features on this real gem by BMW Motorrad are, among other things, the three mounting points at which you can attach the bracket for the lateral mounting of the plate plus the lightning equipment. It is also possible to fit a 6 inch wheel instead of the normal 17 inch one, which is 5,5 inch wide. By the straight fixed 4-rotor monobloc brake calipers, the floating placed brake discs, with a diameter of 320 millimetres, and the BMW Motorrad ABS safe deceleration is ensured. In this expressive bike not only 90 years of success is united but also the values of "purist simplicity", "emotion" and "authentic, traditional materials” were heard. These values always were the central points. So the 18 litre aluminium tank was first brushed by hand and then coated. 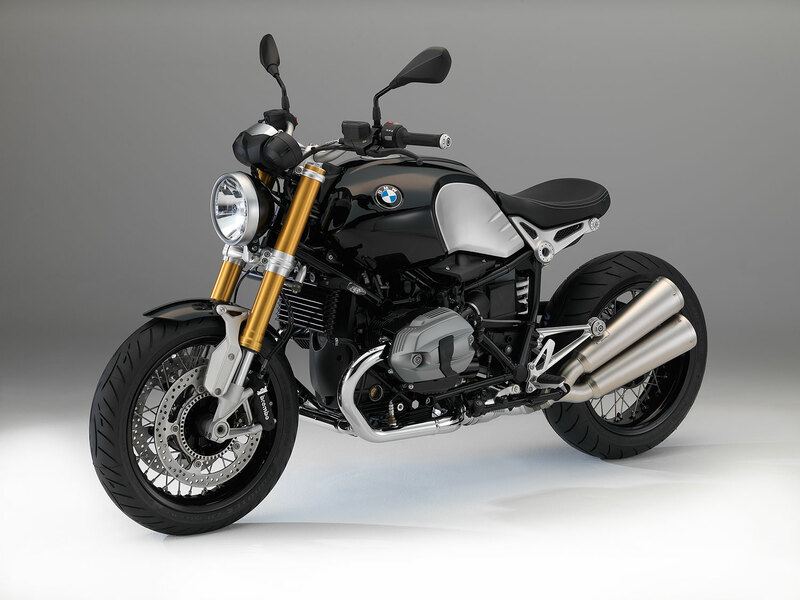 The aluminium cover with embossed “nineT” lettering refers to the manufacture-character, too. In terms of colour BMW has decided to use the classic black. By a special justification of the wiring system there is an option to reserve head-and turn signal lights.